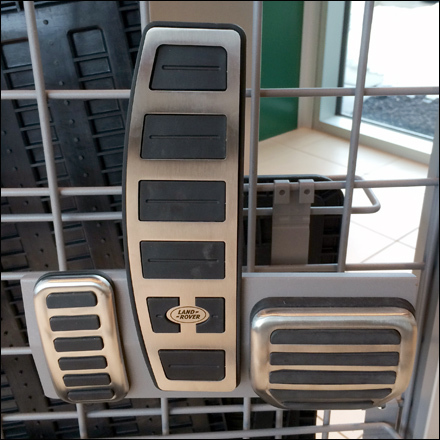 In my youth I would have given anything for a chrome plated gas pedal cover. 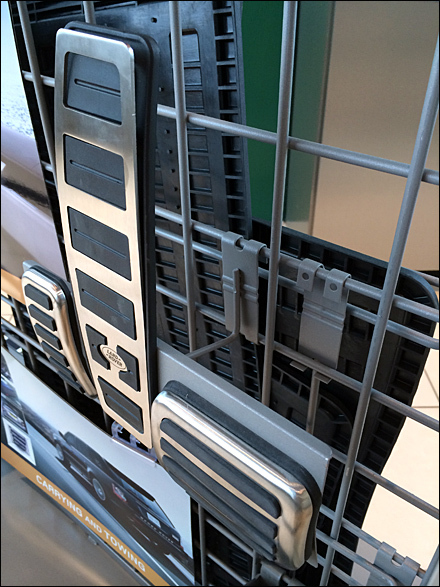 Land Rover® ups the ante with Stainless Steel Pedal Trim displayed by Grid Hook among other accessories. I am not sure I would mount the pedals in this order … Emergency Brake, Gas Pedla then Brake Pedal … but maybe that is the standard configuration for British automobiles. And you thought driving on the left was the only difference? CLICK the thumbnail for a better look at the Grid Hook.